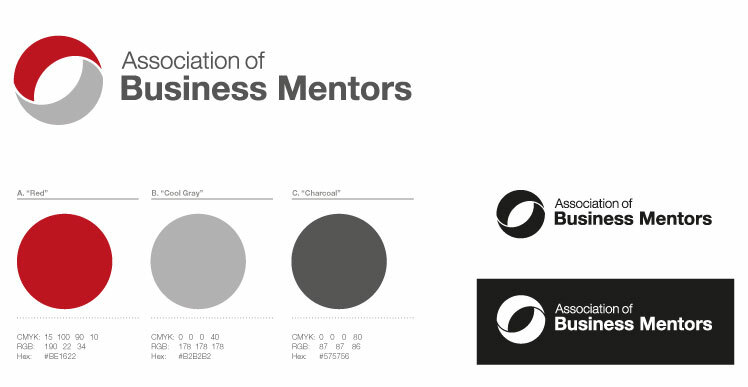 The Association of Business Mentors are a non profit association striving to create a database of credible, successful mentors so that business owners and individuals alike can feel confident when seeking a business mentor. The main focus of the website is to provide a portal of approved and vetted individuals who have gone through a thorough process to be listed with the AMB website. This in turn gives an insight from a consumer point of view that all members of the association have been carefully screened, ensuring that they will receive a professional service and that your chosen mentor has a proven record of successful mentoring. 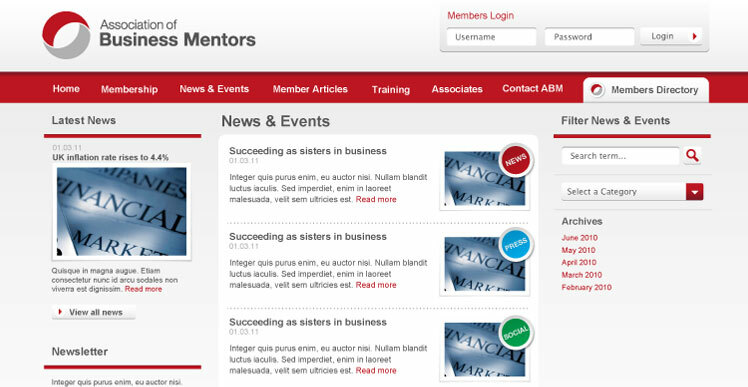 Working closely with the founder members we ensured that all avenues were covered and architected within the initial launch through the ongoing promotion of the site which includes syndication of news and mentor articles. Because of the nature of the project we opted to utilise Wordpress as the platform of choice, but in doing so underwent some additional extensive development and plug-in integration to ensure that all requirements of the brief were met as required. The business has had some extremely positive feedback and interest since its launch in July 2011. 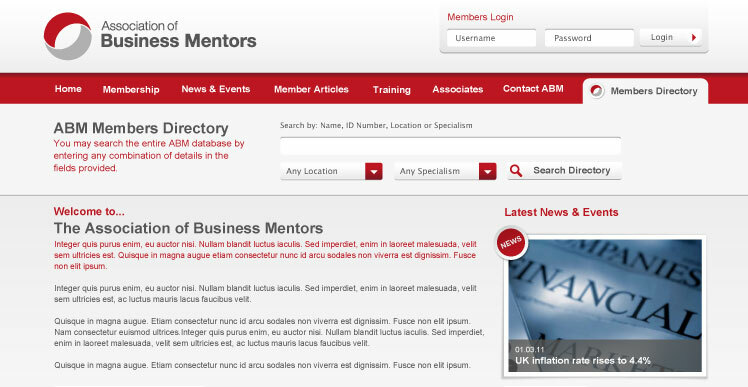 The self management of the business through the Wordpress CMS has proved extremely productive for the staff and members of the site with an added influx of interest and support from other renowned business mentors.